I can't express how excited I am to share today's post with you! Lenny & Eva has been my favorite jewelry brand for the past few years now. They hold a special place in my heart because they were founded right outside of my current town. 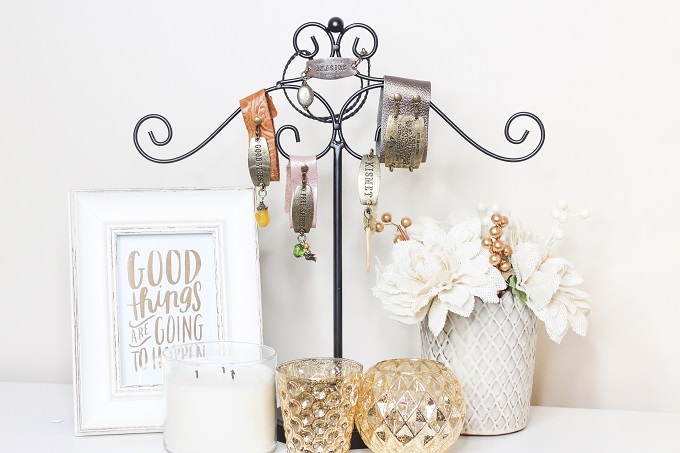 If you aren't familiar with Lenny & Eva, they're a custom jewelry brand allowing customers to create their own special pieces of jewelry from start to finish. Each bracelet may represent a certain time in your life or could even be something that defines you as a person. I'm not a big accessory person but L&E fits my personal style to a tee. I love the vintage character each bracelet holds. No one bracelet is the same and each style has a different meaning for everyone. So how do you build a Lenny & Eva Bracelet (in a nutshell)? Bracelet Style - I always start out with my bracelet. You can choose from so many styles like: thin cuffs (photoed above), wide cuffs, braided wraps, fringe wraps, scarf wraps, beaded wraps, and more! Your bracelet style will determine what size and style sentiment you can choose. Sentiment - Sentiments are my favorite part! Small sentiments (photoed above) will hold one word or phrase and are super easy to style into your daily wardrobe. Large sentiments will have a larger phrase, verse, saying, or quote and will be held on large cuffs. There are endless possibilities with your sentiments! 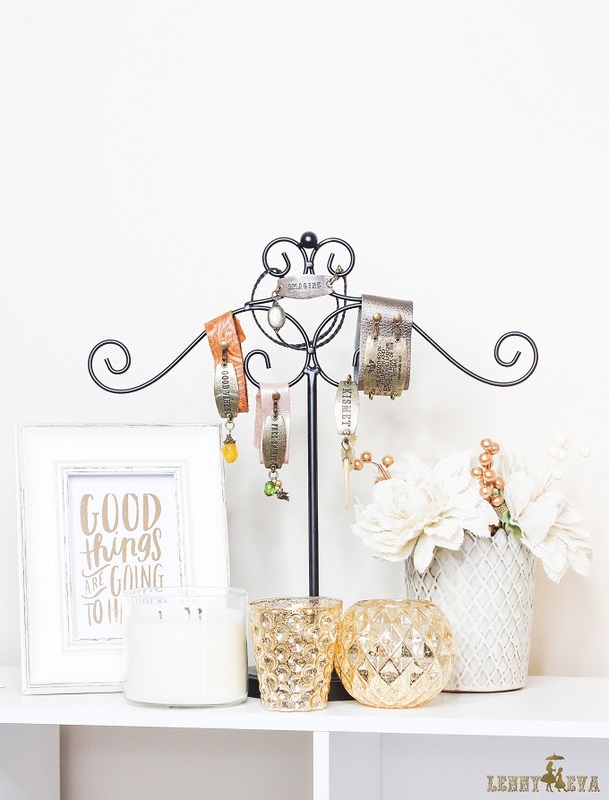 Charms - Charms are always optional but I love the different styles L&E offer! The gemstone charms (photoed above) are my absolute favorite! They also have smaller charms and pendants you can attach to your bracelet as well. Lenny & Eva were SO kind to let me do a giveaway for you guys! 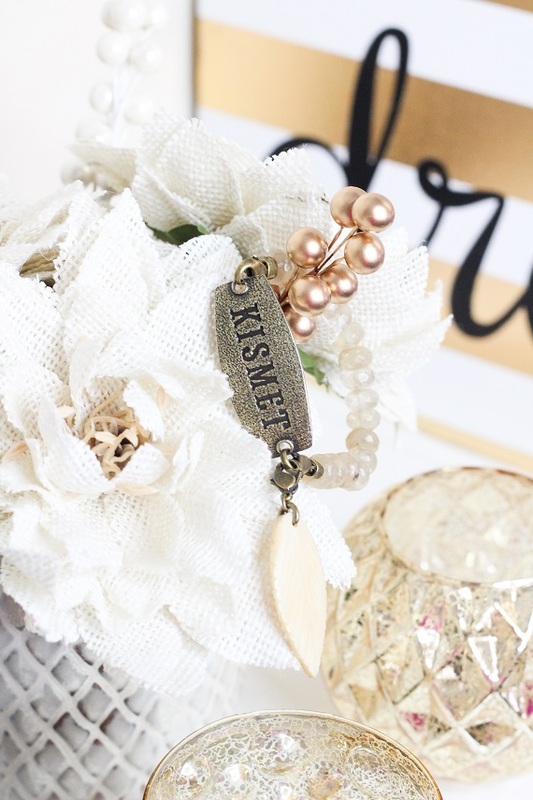 I asked many of you on my YouTube channel which bracelet from my collection you would like the most and my "Kismet" style bracelet got the highest amount of votes! All of the details on how you can enter will be listed in the Rafflecopter below! I do want to point out that the leaf charm photoed above is NOT made from real ivory. It is a plastic material :) Good luck to everyone! Love the braided wraps and small sentiments!! I have been obsessing over the Lenny and Eva bracelets ever since you introduced it on your channel! It's so hard to choose a favorite. I really like the new scarf wraps and think they'd pair beautifully with the braided wraps and the small sentiments are perfect! I've never heard of Lenny & Eva until you posted them on Facebook. Thank you so much Shelby! I feel an addiction coming on...a good addiction:) I love the wide cuffs, large sentiments (I love METAL!!!) and the beaded links. Oh my gosh, just spent, like, half an hour browsing the Lenny and Eva site- love the large sentiments! Wow! I love your site. I love the one showing with good vibes. 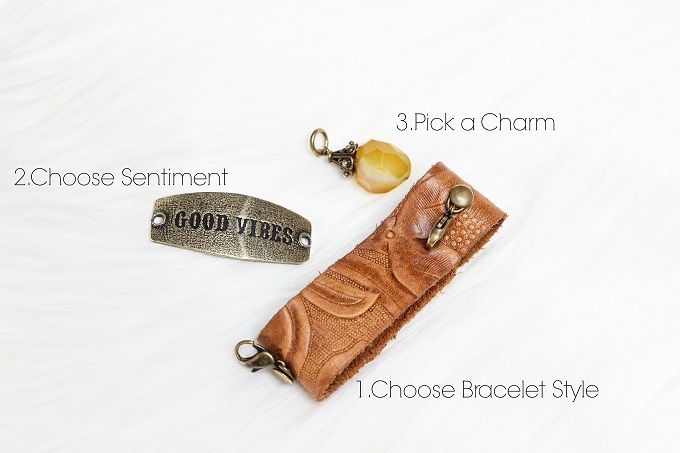 I love the thin ceramic brown cuff with the wanderer sentiment and an elephant charm! I like the thin ocean cuff. I love the blush metallic cuff!